ANNAPOLIS, Md. 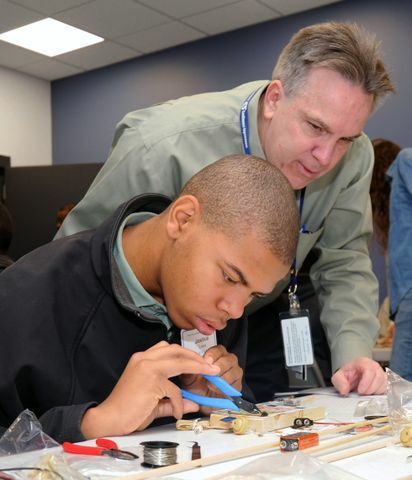 â Dec. 19, 2013 â Northrop Grumman Corporation (NYSE:NOC) hosted a group of 25 Annapolis High School students recently with the goal of sparking their interest in science, technology, engineering and math (STEM) by teaching them how to build an AM radio. The event was held in the Northrop Grumman Undersea Systems business unit's Ocean Innovation Center (OceanIC) at the Annapolis campus. OceanIC includes a purpose-built STEM lab for education outreach. Inside the STEM lab, company engineers kicked off the day by educating students on radio frequency, electromagnetic waves and details of how a radio operates. "The work we do with the students in this STEM lab is very rewarding," said Alan Lytle, director, business development and OceanIC executive sponsor of the STEM lab. "Our engineers are passionate about helping students learn engineering concepts, and realizing they can choose a path that leads to a career in a STEM field." Northrop Grumman's STEM lab provides the look and feel of a small business start-up environment to support open collaboration on STEM projects. The lab is the primary venue for many community outreach activities for local K-12 education partners, as well as the company's High School Involvement Partnership program. 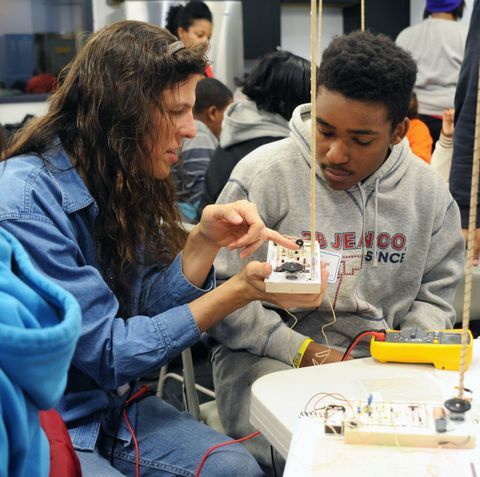 The STEM lab is managed by STEM@NGUS, a volunteer employee group at the company's Annapolis campus that helps to coordinate STEM activities. In their first 18 months, STEM@NGUS has supported visits by 17 organizations and provided STEM outreach for 500 children. Additionally, the group supports the FIRST Lego League, Bring Your Child to Work Day, school and summer camp visits, Sea Perch programs and science fairs.